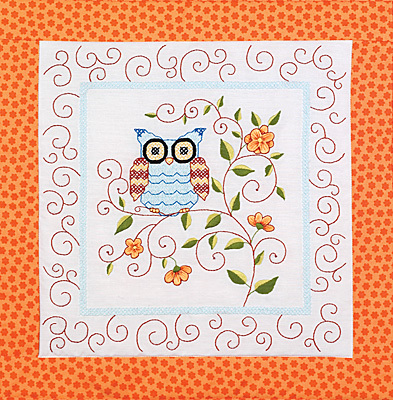 Owl Quilt Blocks, with beautiful browns to accent the blue Owl. WHO will be sitting on a lone branch of leaves and flowers? Quilt will compliment any living room or bed room, seasonal or year round. 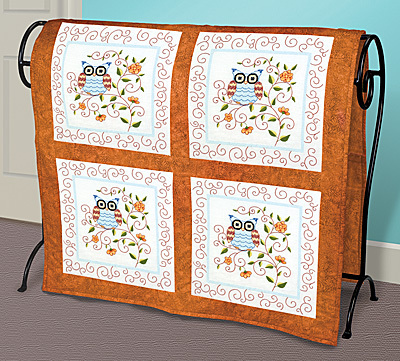 Use as bedding, a couch throw, or hang over a quilt rack for decoration. Designed by Sandy Garbrandt and made in the USA by Janlynn.